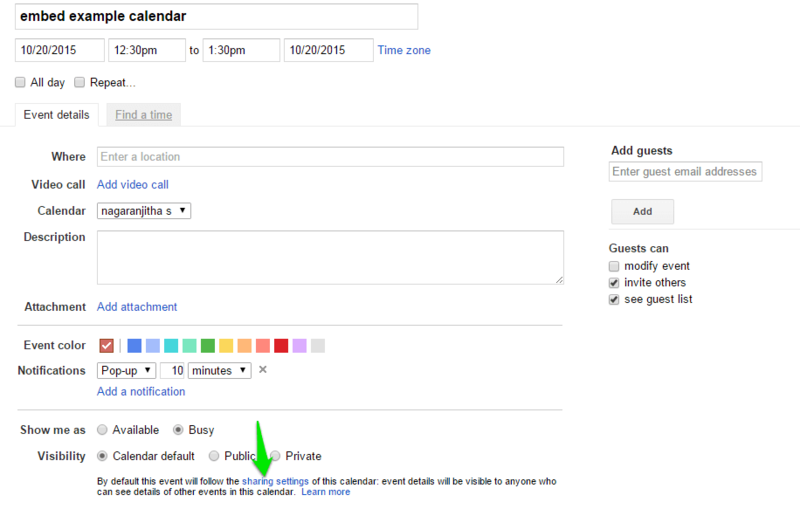 Go to Google Calendar and create a new calendar event of select any existing calendar event that you would like to embed. In calendar edit details go to Sharing settings. In Sharing Settings go to Calendar Details Tab and copy the embed code. Login to Learnyst as Admin and go to Website builder. In website builder you can add your custom code by adding a custom code section to your landing page from the side bar. Follow the below steps to the same. In side bar go to sections and add a custom code section. In custom code section click on Edit. Replace the existing custom code with your google forms embed code and click on Save.